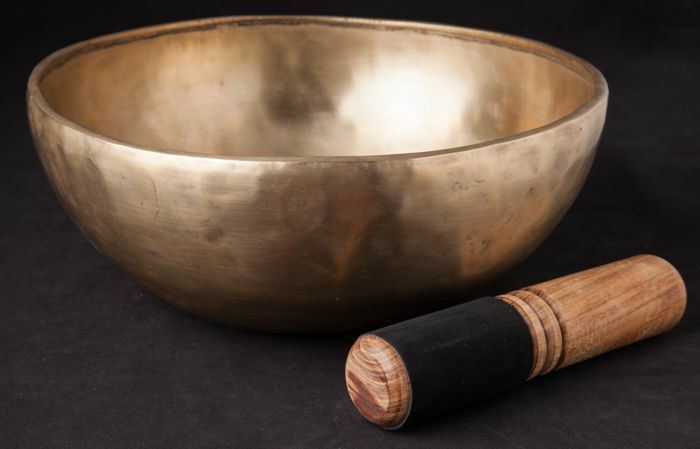 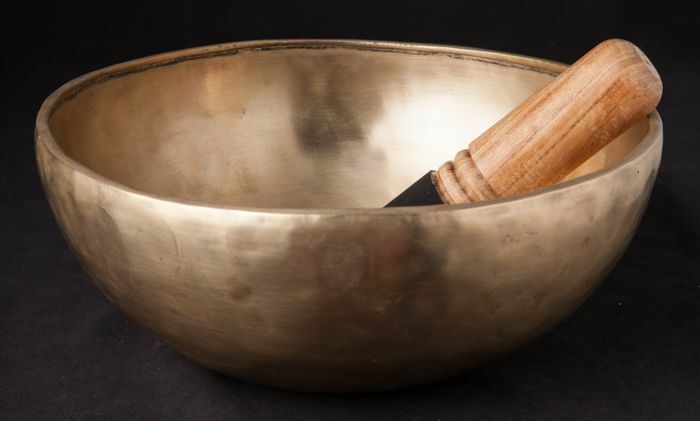 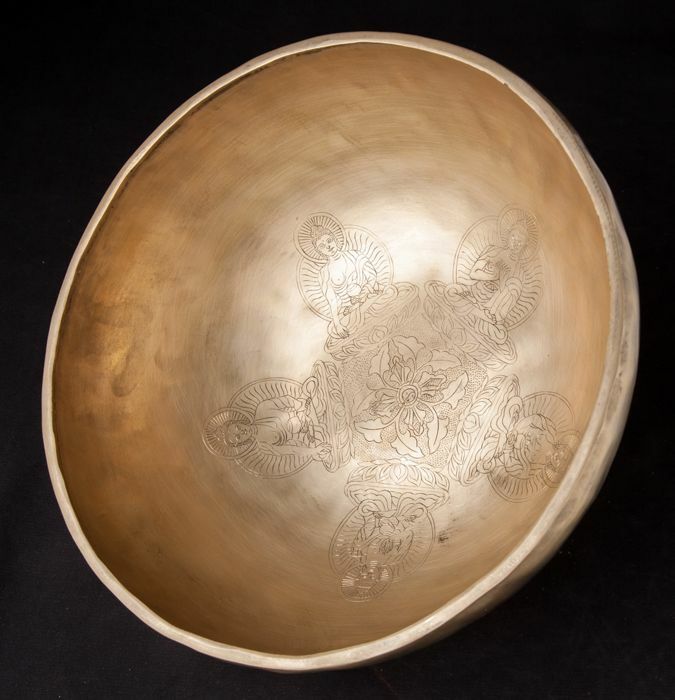 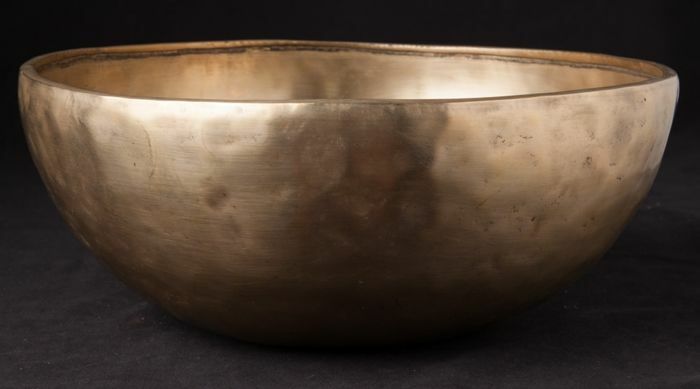 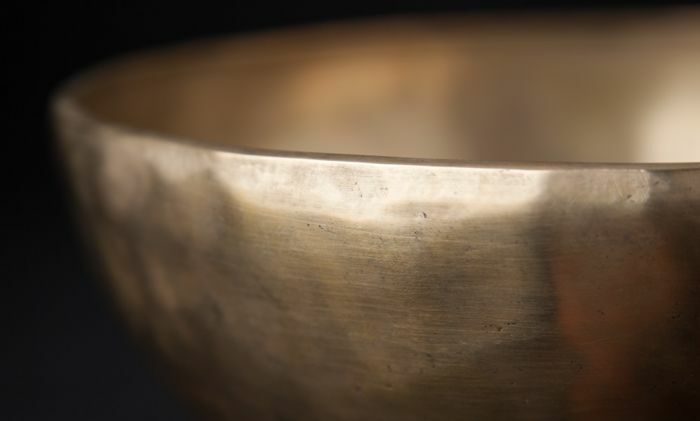 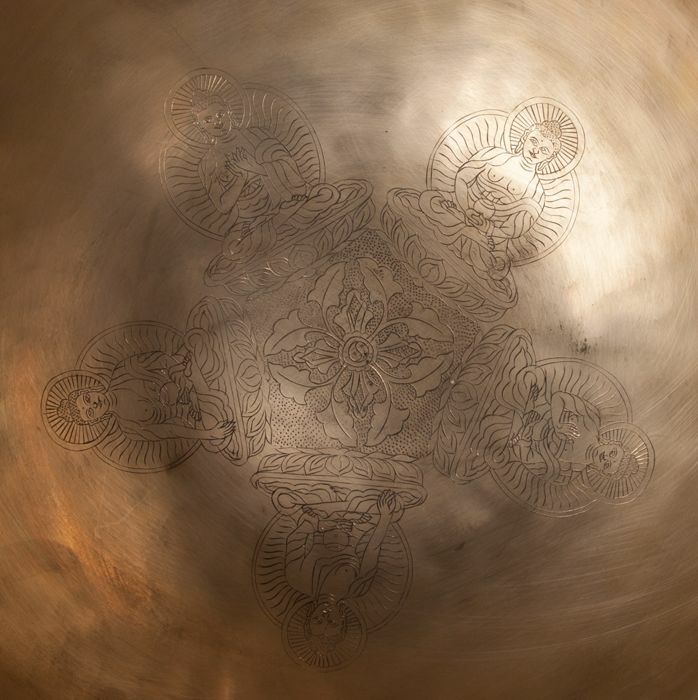 Large singing bowl from Nepal with a diameter of approx. 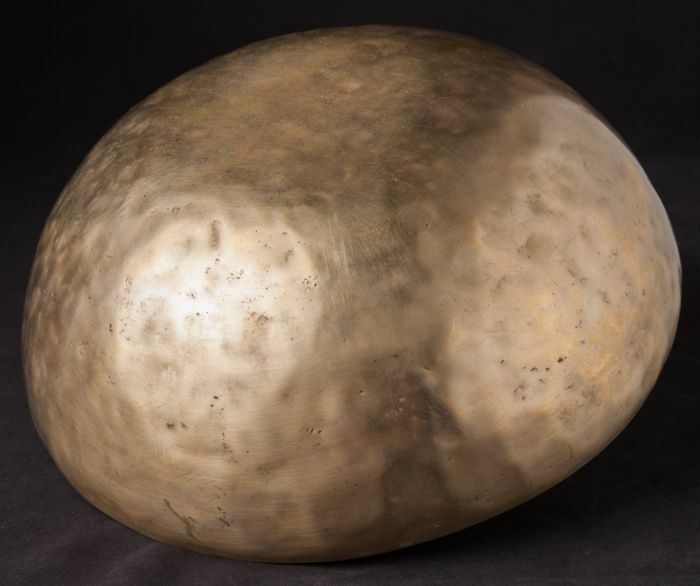 30 cm. 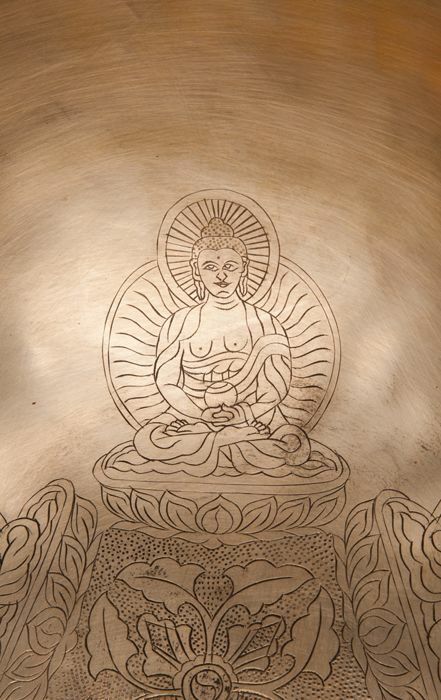 The bowl is of high quality, hand-hammered and suited for professional usage. 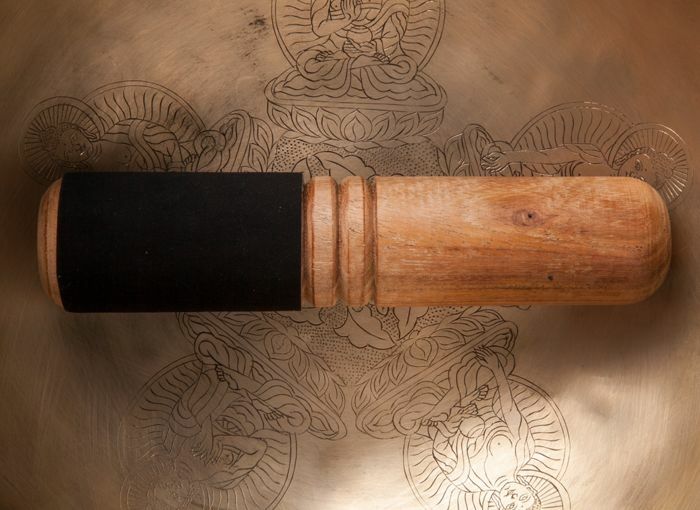 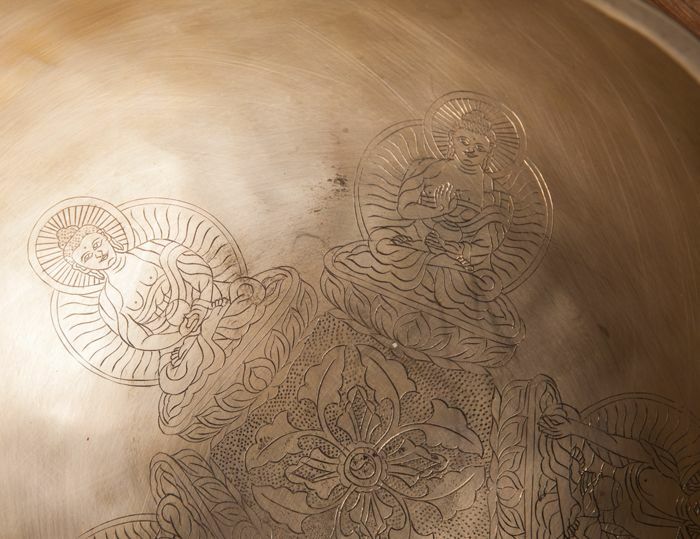 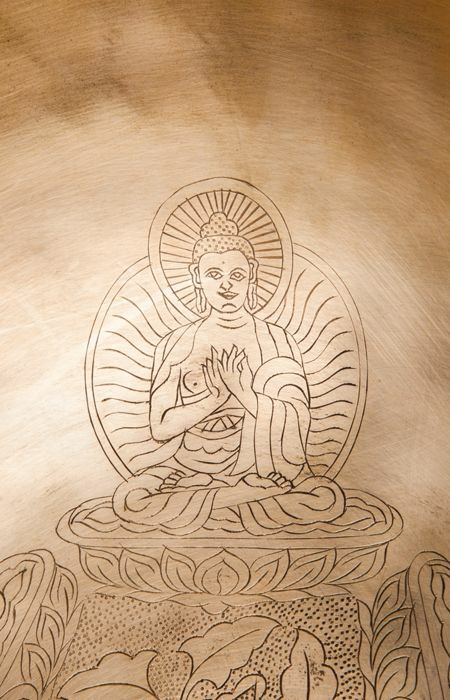 With five hand-engraved Buddhas on the inside. Pode levantar este lote em mão do vendedor: Gorssel (), Holanda.